The series also stars Adam Devine and features contributions from longtime McBride collaborators Jody Hill and David Gordon Green. It didn’t take long after “Vice Principals,” but Danny McBride is heading back to HBO. And he’s brought some new family members with him. 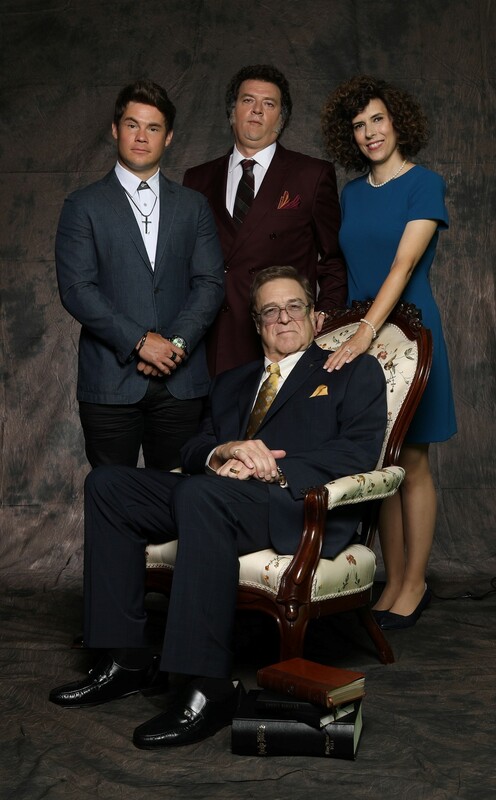 HBO announced Tuesday that they have given a full series order to the half-hour comedy “The Righteous Gemstones,” starring McBride, John Goodman, Adam Devine, and Edi Patterson. The quartet will star as the Gemstones, a televangelist family that sounds about as scrupulous and disciplined as the Roys from “Succession.” In addition to creating the series, McBride will also be a writer and director on the show. The show sees McBride reteam with longtime collaborators Jody Hill and David Gordon Green. Hill directed McBride as co-creator of the series “Eastbound & Down” and most recently in “The Legacy of a Whitetail Deer Hunter.” Green, who worked on “Eastbound & Down” and has the upcoming installment of “Halloween,” also directed eight of the nine episodes of Season 2 of McBride’s other HBO show “Vice Principals.” Both Hill and Green will serve as directors and EPs of “Gemstones” as well. In addition to “Gemstones” being the first post-“Roseanne” TV venture for Goodman, the comedy bona fides for the show also extend to the rest of the cast. Tony Cavalero (Dewey Finn on the Nickelodeon adaptation of “School of Rock”) is set to play one of the church’s notable converts and Tim Baltz (“The Opposition” contributor and “Bajillion Dollar Propertie$” mainstay) will play Judy’s fiancé. Cassidy Freeman and GregAlan Williams will also star in the series, which will likely eye a premiere date sometime in 2019.